Olympia is a relaxed college town of 45,000 people in southern Washington. There are 3 community colleges, led by Evergreen State College which creates a youthful presence here. 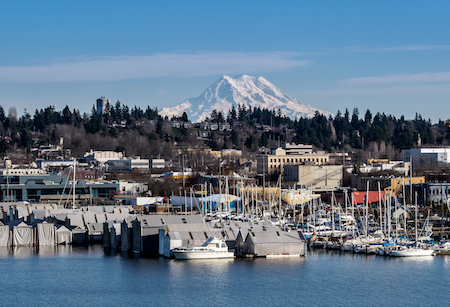 Outside Magazine named Olympia as one of the best college towns in America. The city, the capital of Washington, serves as a regional shopping, cultural, and entertainment center. 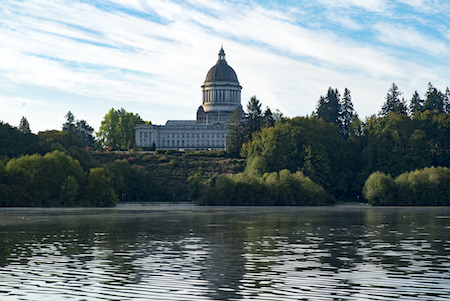 There are many cultural activities to enjoy in Olympia. There are plenty of open spaces and beautiful parklands. Olympia National Park is perfect for hiking and other activities. The presence of Puget Sound should appeal to sailors and fishermen. The area gets plenty of rain but it also has a relatively mild climate. All that rain results in a lush and picturesque environment that is second to none, with Puget Sound on one side and the Olympic mountains on the other. This diverse city has a wet but mild climate in the winter. Photo of Capital Theatre courtesy of Wikipedia and Joe Mabel.